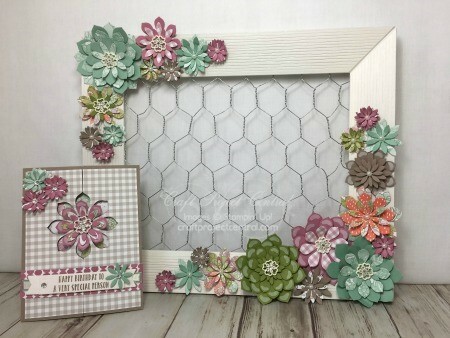 In this tutorial you’ll learn how to easily make a pretty succulent garden frame and a matching card! This is a perfect gift for friends, teachers, neighbors, etc.! Make multiple sets and make sure to keep one for yourself! I had so much fun creating this project! The Succulent Garden Designer Series Paper is absolutely beautiful. The Succulent Framelits Die Set offers a variety of flower designs and shapes and what you can create with this die set is endless. 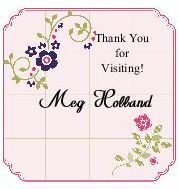 You will be amazed to see how your flowers will like just by layering them in different ways (i.e. stack them together, change the angle of your layers, and etc.). So fun!!! SAVE THE DATE!!! I am in the final process of offering a class to make this project at my studio on April 23rd (Sunday). So stay tuned for an announcement!